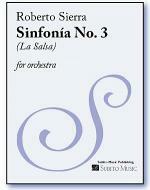 Sinfonia No. 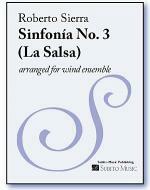 3 (La Salsa) by Roberto Sierra. 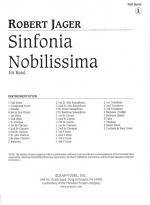 For Concert Band (2,1 2,1 4,bass clarinet 2,1; soprano sax, alto sax, tenor sax, baritone sax; 4331 euphonium; timpani, percussion, harp, piano). 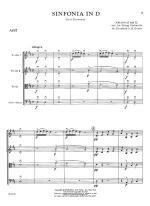 Score & Part(s). Composed 2005/2009. Duration 23'. Published by Subito Music Corporation (SU.92070296). 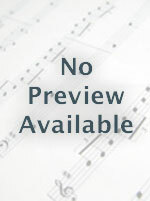 Score: available for sale (#92070295).